Nestling in between Hungerford & Marlborough is a true gem, a place that truly sparkles. Recently refurbished with a new extension housing our new entrance leading directly to the cocktail bar, lounge and private dining areas, this destination restaurant has a touch of magic that redefines the whole customer dining experience. An experience that will simply make you want to come back again and again. So for when should we make the reservation? Thank you for another amazing night at The Palm. All 13 of us had a wonderful evening. Great staff, great food and wonderful atmosphere. Can’t wait to return. It was an excellent evening, the staff were polite, helpful and friendly whilst the food was delicious - the best Indian restaurant I have ever been to. We couldn’t fault it. 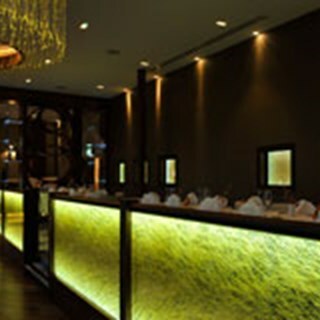 The Palm is a lovely Indian restaurant, nice surroundings, fab food and great service! My husband and I had a wonderful time. We are already planning our next visit. The food was excellent but the experience was let down by the erratic service by staff who didn’t seem able to ‘connect ‘ with us as diners. This led to an unsettling evening overall. So very impressive from the outstanding & attentive service to the excellent food. Our first time visit was very memorable and can't wait for the next time. Please update your menu, the vegetarian range is very limited and never changes. You charge higher prices than most Indian restaurants, which makes it uncomfortable for some of our friends. We have been going to the Palm for years as we all enjoy it so much. The food is authentic and delicious, service outstanding, always with a friendly welcome. Cannot recommend it highly enough. Go! Service was a little slow however this was more than compensated for by the lovely staff and beautiful food. This is only our second time of dining here but we will definitely be back. Thank you so much. You can’t beat it ! we thought the portions were expensive and small. 2 of the chicken dishes had 4 pieces of chicken all the rest was sauce. we were appalled we were charged £3.95 on top of the poppodoms for the pickles/'dips' esp as we had ordered 8.
when busy a bit neglected and too many servers, each didn't know what the other was doing. Lovely table though in great position. 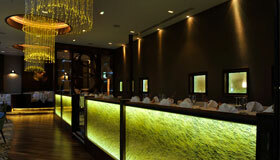 we like the palm but we could get better value for money and less expensive dishes in other good restaurants. Beautiful food and good service as always... thank you! Excellent food and friendly service as always, this trip was business related and was thoroughly enjoyed by all, particularly by our visitor who hadn't frequented before. Thoroughly enjoyed our meal. Lovely service too. Service was quite slow, we waited 45 minutes for our main, but it was very busy. Other than that the food was great and the service was good. There was a large table of teenage girls seated next to us who were incredibly loud and made our conversation tough. We think you were within your rights to ask them to quieten down a little, whilst not wishing to be killjoys.